People from all around the world now use laser hair removal in order to get rid of the hair they do not want. Most people simply do not want to be faced with constant tweezing, shaving and waxing. Everything becomes tiring in that case so alternatives are always considered. When using laser hair removal, there are various advantages that appear. However, this does not mean that you can simply go to the first clinic, even the awarded best in Kelowna, without knowing as much as possible about the procedure. Technology has advanced a lot and the number of people that can use laser hair removal is definitely a lot higher than it used to be a few years ago. For instance, just those that had dark hair and lighter skin were able to use the procedure with huge success. Now, this is no longer the case since we are faced with advanced lasers that are capable of working for most people in the world. However, there are cases in which you will not be a great candidate. It is vital that you talk to the doctor before you get your hopes up. 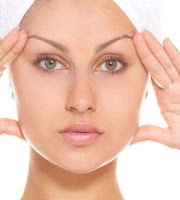 Laser treatment has to be seen as being a serious procedure. This is the case even if you perform the procedure for a cosmetic reason. You will need to go through many appointments for all the hair to be removed and you have to be 100% sure that the technician that will work on you will have the necessary skill to get the job done right. Proper training and certification are always needed. This is something that you should not do. In fact, any follicle removal method should be avoided. This does include epilating, tweezing and waxing. You can shave but only in some specific situations. There are clinics that will tell you that shaving should be avoided. In most cases it is really important that you talk with the technician so you see exactly what the best option is for you. Skin colour is going to have a huge impact on the efficiency of the laser hair removal session. Because of this, you have to always avoid tanning, especially before your very first appointment. When there are colour contrasts, lasers work better and tanning will reduce that contrast. In addition, skin sensitivity will be reduced as you avoid sun rays. Every interested party should know that laser hair removal will be a pretty long process. You will not be able to get instant removal after your very first treatment session. Gradual hair removal will happen after every single appointment. The number of appointments that will be necessary varies from 6 to 10 in most cases. Due to safety reasons, your appointments will have to be spread over around 8 weeks. You cannot be exposed to too much laser since that would damage your skin. Always respect doctor indications. Owning one's own practice is the goal of most medical practitioners. They want that sign with their name out front, and the ability to oversee the every detail of their operation, holding it to their own high standards. It sounds appealing, and it can certainly be very rewarding. But things can go wrong if you don't manage the practice correctly. If you are getting started on the process of running your own practice, keep these major areas in mind to avoid problems down the road. The way you handle patient information and the reports, notes, and results you gather about them is critical to your success--and to your ability to stay on the good side of the law. HIPAA is very specific about how you can and cannot use this information, who can have it, and how it must be handled. The great thing about starting out new is that you will be able to implement HIPAA-compliant systems from square one, as opposed to having to back up and change existing records. Start with your systems. Go with a system that will meet meaningful use guidelines and use a quality computer system that can handle it and expand later. Get a large server, use top-quality virus protection, get an impermeable firewall, and establish strong passwords. That last step involves your employees. Hire people who understand medical records, preferably experienced people with a sharp eye for computer technology. They will be able to set things up on a course for effective records management that will take care of your patients and you. You're a physician, not an advertising genius. At least not officially. But you will have to work like one if your practice is going to be successful. The first thing you need to understand is that a medical practice doesn't advertise or market itself in quite the same way as any other business. Most consumers will not make a "cold call" to a doctor unless they're just new in town and don't know anybody else. The most common thing to draw a patient to a doctor is a referral. 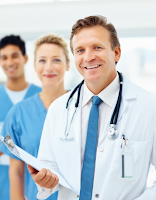 If you're a general practitioner, your referrals will come by way of your other patients. If you're a specialist, that will still be true but you may also receive referrals from other physicians. For you as a marketing doctor, this means you have to do everything you can to make the experience positive for your patients. Touch up your bedside manner. Make sure the office is clean, comfortable, and spacious. Make sure billing is accurate, fair, and timely. And as far as referrals from your colleagues, stay engaged with the medical community. Get to know other practitioners outside the hospital, since many of them might not interact with you there for many years. In short, then, work the traditional advertising channels, but simultaneously work to engage with your colleagues and existing patients. Let's back up a little bit to the actual establishment of your place of practice. If you're just starting out and want to get patients into the exam rooms as soon as possible, you'll probably want to seek an existing medical building so that you can get up and running quickly. If that's not the case for you, you may be building or renovating for your practice. Make sure you spend some time with local code enforcement officials to make sure your plan is acceptable. There will be issues about everything from sign types to placement of walls that will have to be addressed, and particularly if you're doing renovation yourself, you may get things built that inspectors will later force you to change. Your time in medical school, residency, and internship has made you ready for the daily work of caring for patients. But when you introduce all the considerations of running the actual practice, you may feel hopelessly unqualified. Don't let the process overwhelm you. Take a practitioner's approach. Diagnose each problem, plan a course of action, and track its progress. And just as with patient care, the most important thing is to keep sight of the things that you are less experienced with and making sure that you get expert help when needed. Is it Possible to Ever Really Get Over an Addiction? The world is filled with stories of how addicts have been able to, miraculously as it sometimes seems, beat their drug addiction. However, there are millions of people who wonder if it is possible to completely be free of the urge. The late 60s and early 70s provide a plethora of stories of both civilians and military personnel who were caught up in troubling times—half was across the world and at home. People tuned to amphetamines, operations, heroin, marijuana, alcohol, and other drugs. Some military personnel were even encouraged to take drugs that would sharpen their senses and keep the awake. College students abused cocaine and relied on so-called mind-expanding drugs. Many military and civilian personnel went on to detox themselves and lead productive lives. Others, were not so fortunate. Then, there are those who found treatment for drug addiction. Forward to the present day. Not much has changed in the world, except that there are a whole new set of illicit drugs with names to match. 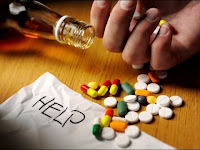 An addiction will arrest an individual’s will, and even after overdosing or spending time in jail, the urge to continue drug abuse still lingers within many. Addiction knows no boundaries. It has no respect for race, income, age, or gender. Parents, friends, and family members are often left devastated and not knowing what happened to their “gifted” friend or child. There is always that hope that the addict will somehow find a solution to stop. Sometimes the addict will find clinical help; only to relapse after several months of being on the outside again. Addiction is often debated within two schools of thought. First, a person’s brain is chemically hijacked and the addict has absolutely no control over their progressive, chronic disease. The second school of thought centers around the thought that addicts always had a disposition of not caring for themselves, or others. Many people associate addiction with criminality. When an addict steals or commits other addiction-related crimes, it simply plays into the stereotype that millions of people have about addicts. When addiction takes control of someone you know or love, the belief is that a “good” person’s mind is under the influence of a wicked substance. When addiction happens to someone you do not know, it is often attributed to a person’s perceived criminal disposition toward life. Today’s world has ushered in a whole new understanding of neuroscience. Drug rehab centers in Florida both understand and embrace this new paradigm. Thus the treatments for addiction have changed. Clinicians now understand and know that addiction, while a disturbing brain problem, is not the same as a degenerative disease like Alzheimer’s disease. However, it is a disorder brought about by a change in brain chemistry. The brain process information in a particular way because of how its wired. It does this naturally. So it stands to reason that if its wiring is altered, it will process information and help direct behaviors in a different manner. Today’s research of both animals and humans has brought the medical community closer to recognizing what areas of the brain are actually involved in addiction—and more importantly how they are involved. Drugs, simply put, have a tendency to alter that part of the brain where we formulate values and goals, such that focus is on obtaining the addictive substance. Today’s treatment for drug addiction takes on a dual approach. A recovering addict will receive medications that can help ease their withdrawal symptoms. Through very careful screening and assessments, the patient is also screened for co-occurring mental disorders that may have attributed to their addiction. A number of drug rehab centers in Florida take this approach. Patients receive the medications and therapeutic solutions that can help them detox and successfully navigate rehab. Cognitive therapies are essential to the process as well. They instruct patients how to examine their own thinking processes, which invariably leads to their actions. Effective drug rehab centers in Florida can also provide an earnest aftercare program that can help individuals transition back into a normal lifestyle. Treatment for drug addiction is comprehensive, and it works. So, it is possible to stay sober for life. However, sobriety can be a lifelong struggle for many. Treatment centers for drug addiction play an integral role in helping addicted individuals piece their lives back together. Within society, there is a growing epidemic that is threatening the well-being of everyone. With repeated and continued use, addiction creates a continued cycle of abuse that only becomes more severe with time. Thus, the answer lies in services provided by drug and alcohol rehab centers. 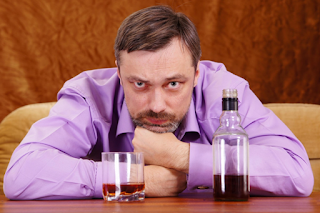 Addiction often requires the outside intervention of alcohol and drug rehab centers. In order for individuals to be more willing to enroll in local Arizona treatment centers, a successful intervention may be necessary to stress the need for alcohol and drug rehab centers. Denial can often be a prevalent issue, which may impair individuals from seeking help at drug and alcohol rehab centers. Most interventions that successfully people to alcohol and drug rehab centers consist of a delicate balance of assertiveness and a genuine display of concern and love. Most Arizona treatment centers provide comprehensive diagnosis and assessment regarding substance use. Before one can really begin the therapeutic at drug and alcohol treatment centers, the exact nature of circumstances surrounding the addiction itself must be addressed before drug and alcohol rehab centers can further assist. Once clients have finished screening and assessment at their respective alcohol and drug rehab centers, the therapeutic process may then begin. When undergoing counseling in Arizona treatment centers, licensed clinicians are dedicated to helping clients identify the core root of any issues that may have contributed to the onset of addiction. ● Most drug and alcohol rehab centers employ holistic philosophies to accommodate for any specialized needs the client may have. ● Within counseling sessions at alcohol and drug rehab centers, clients will also be able to learn specific knowledge and skills that would be able to support a life of recovery. ● Most drug and alcohol rehab centers employ the latest treatment modalities to provide the most effective care. ● Alcohol and drug rehab centers also utilize current administrative techniques, allowing for better communication with all of your caretakers. Even if one does not feel any sense of hope when entering drug and alcohol rehab centers, that does not mean that hope is absent. Numerous clients have gone through alcohol and drug rehab centers with similar sentiments, and have completed treatment. Drug and alcohol rehab centers strive to help give clients their lives back, lives free from addiction. If one feels nervous about entering alcohol and drug rehab centers, clinicians licensed within these drug and alcohol rehab centers are dedicated to providing a safe and nurturing environment. Arizona treatment centers provide a wide variety of care, able to accommodate a large variety of needs. Drug and alcohol rehab centers understand that each client is unique and that the only answer lies in unique treatment. Clients in alcohol and drug rehab centers can help themselves and other most if they are honest. With greater trust, drug and alcohol rehab centers are more able to help with deeper needs. Even though Arizona treatment centers address substance use, they can do more than simply be drug and alcohol rehab centers. Other issues like mental illness or family issues are often taken into account by alcohol and drug rehab centers. Arizona treatment centers also often provide systems of social support in the form of groups, even after sessions are finished in alcohol and drug rehab centers. With all the drug and alcohol rehab centers available, it is easier than ever to receive care. There is no need to live in addiction any longer when drug and alcohol rehab centers are ready to help. On your quest to seeking help for your addiction, you may have come across many alcohol addiction treatment centers. How do you know which program is right for you? Start by identifying the two major types of alcohol addiction treatment: inpatient alcohol rehab and outpatient alcohol rehab. It's important to find the right type of treatment for your unique situation so that you have the best chance at success. When comparing inpatient alcohol rehab treatment and outpatient alcohol rehab treatment there are many factors to consider. Each model of treatment has its benefits and disadvantages. Whether choosing inpatient or outpatient treatment, you will want to find a treatment center that recognizes your individual needs and that is equipped to handle alcohol addiction with medical experts on staff. 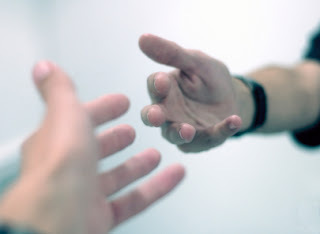 Some benefits of entering treatment of any kind are medical stabilization, which means that you will have help getting through withdrawal, prevention of relapse, peer support, and much needed therapeutic intervention. If you choose an outpatient model to treat your addiction you will receive rehabilitation services while you remain living in the comfort of your own home. You may be required to check in with your addiction specialists at your chosen treatment center throughout the week. You may receive such services as an evaluation, medically supervised detoxification and withdrawal, medication, counseling and peer support. You may choose from various types of outpatient centers who may use different approaches and levels of treatment. Among outpatient treatment, you can find varying levels of intensity ranging from low-intensity substance abuse education to intensive day treatment. Outpatient alcohol rehab is more suitable for individuals who have work or family obligations and extensive social supports to help keep them on track with recovery. Although addiction treatment in both inpatient and outpatient settings will be very similar, the program at an inpatient facility will be much more intensive. The defining characteristic of inpatient alcohol treatment is that the individual is required to check into the treatment center and remain in the center for the entire length of the treatment program. This allows for a more intensive and highly structured approach to treatment. Some of the benefits of inpatient treatment includes 24-hour around-the-clock care, privacy, less distraction from everyday life and obligations make it easier to fully focus on recovery, specialized treatment for co-occurring disorders, more specialized services, and most importantly no access to alcohol lowers the risk of relapse during the length of stay. If you are able to take a leave of absence from your job, school, or home duties you may wish to enter treatment on an inpatient basis. Just as with outpatient treatment, you will begin the process with a medically supervised detox and withdrawal before beginning treatment or rehabilitation. You will then go through rehabilitation before learning how to maintain your new sober living lifestyle. During your stay, you will have 24-hour care and the level of privacy that comes with living in the inpatient community. Without the distractions of everyday life and following the structured days, you will be able to focus solely on recovery and getting the support you need. You may have access to specialized services such as nutritional planning, exercise programs, and various therapeutic methods. If you have a co-occurring disorder, you may receive specialized care to address your addiction and mental health needs simultaneously. You may find a range of therapeutic methods available during your inpatient treatment. Some of these may follow the 12-step program to alcohol recovery, behavioral therapy, group counseling, peer support, and other types of therapies and counseling. You may also decide with your medical team to start medications to help with withdrawal or to address your mental health needs that will encourage you to remain sober and get on a path to successful healthy living. Once you go through the rehab program you will learn how to maintain your new lifestyle by using resources such as Alcoholics Anonymous or other support groups to help you remain sober. Whether you choose inpatient or outpatient alcohol treatment, the process can only begin when you accept that there is a problem and reach out for help. When you first learn to get back into shape, your personal trainer or class will teach you what exercises to do. When you watch a fitness DVD or read a book about fitness, this appears to be the main focus, too. You will find yourself engaged in learning and practicing how to perform each exercise properly. While the value of diet will be mentioned by your trainers and fitness literature, it will almost seem peripheral. After all, the idea of cooking a bland meal is far less exciting than the endorphin rush that comes from a vigorous workout session in the gym. What’s more, if you find classes through a facility like Fitness 19, you’ll have a tremendous amount of fun working with other people just like you who are also eager to get back into shape. Perhaps you’ll get quite good at Power Core Yoga or feel totally exhilarated after a session of a Total Tone workout. Thinking about proper diet might be limited to grabbing a protein bar on your way out of the gym or drinking a little more water than you usually do. Still, somewhere in your fitness journey, you’ll notice that others in your fitness classes, who are doing the same amount of work as you are getting much better results than you. They may be building up more muscle or burning off more fat. Recalling how they first looked when you met them, their transformation has been remarkable. Yours, by comparison, are rather modest. If you ask them about the secret of their success, ask them about what they are doing right, you will discover that they are putting an emphasis on eating healthy. While exercise will certainly transform your body, compared to before you got on a fitness rampage, you will notice dramatic improvements too once you add the missing ingredient, a healthy eating plan. If you don’t eat healthy, continuing to enjoy your favorite foods, from pizzas to French fries and coffee lattes—after all, the tastiest foods have plenty of salt, sugar, and fat—then the benefits of your workout will be countered by the nutrient poor foods that you enjoy. The way to make the most of your workout is eating healthy! Now everything is aligned. Exercise is good. But exercise and diet is better. And if you can improve how much sleep you get every night, the supplements you take, and how much water you drink every day, you will be optimizing your health. Before we discuss how to get on track with eating the right meals on a regular schedule, let’s briefly cover the idea of supplementation. If you’re eating a nutritious meal four to six times a day, why do you need supplementation? • 1. Your carefully-chosen foods may not contain all the vitamins and minerals that you need. Our soils are not as rich as they used to be and the fruits and vegetables you eat may not be able to give you the recommended daily allowance of certain vitamins or minerals. • 2. When you cook food, some vitamins and minerals are destroyed. • 3. Since you are putting an additional strain on your body, you may be in need of more micro- and macro-nutrients than you are able to get from a regular diet. If you don’t like the idea of taking tablets, you can get your supplements in a powder form and blend it into a delicious smoothie. 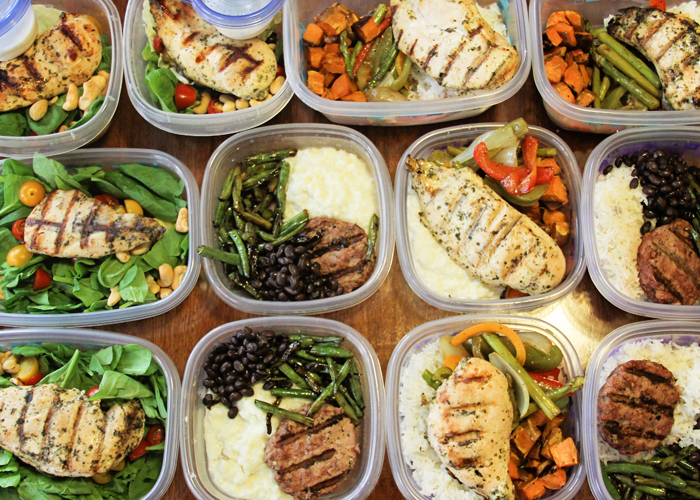 By preparing your meals ahead of time, you will be able to stick to your diet plan. 1. Spend a few hours on your day off to prepare meals for the week. Plan a week’s worth of breakfasts, lunches, dinners and healthy snacks. 2. Store the meals in Tupperware containers. Label everything to make it easy to find. 3. Each Tupperware container should have the perfect blend of protein, carbs, and vegetables -- for instance, chicken, rice, and broccoli. • 1. You are less likely to be tempted to cheat with an unhealthy snack or meal during the week when you are hungry but have no time to cook. • 2. You are going to save time and money by not running to the store several times a week or going to a restaurant. • 3. You’ll be able to know exactly how many calories you are eating, and how many grams of proteins and carbohydrates and healthy fats you are getting from each meal. • 4. You’ll be able to adjust your meal plan if your current plan is not working for you. • 5. You’ll be regularly fueling your body with what it needs throughout the day. • 6. You will have more energy during the day, sleep better at night, and recover faster from your workouts. Remember that perfect abs are made in the kitchen and the gym! Whether you are trying to lose weight or to gain muscle, sculpted six-pack abs will be the central focus of attention when you are wearing a swim suit. While aerobics and specific ab exercises like crunches or leg raises will build your ab muscles, diet still plays a huge role in burning off fat around your abs, hips, and buttocks. As a breast cancer survivor, it is no secret that you’ve fought hard. But unfortunately, there’s no guarantee that the battle is over. Recurrence is a scary thought, and even after 5 years, the cancer could come back. For most estrogen receptor-positive (ER+) patients, prognosis is very good. However, for women who do experience a recurrence, about half of the time, this will occur after 5 years. Though nothing is guaranteed, there are some measures you can take to help prevent late recurrence. In addition to following your treatment plan, there are some changes that you can make to reduce your risk of recurrence and help you get through the next chapter in your life — healthy and happy. 1. Follow your treatment plan. The first step is to follow your treatment plan. If you’ve just completed initial treatment, one of the best ways to prevent early and late recurrence is to be consistent with your anti-estrogen therapy. It is not uncommon for women to forget or decide to stop anti-estrogen therapy because of the side effects. But if your doctor has put you on a 5 year treatment plan, it’s really important to take your medication regularly. 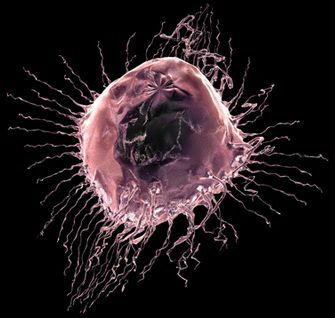 For some, continuing anti-estrogen therapy after the first 5 years can significantly reduce the risk of recurrence. Studies have shown that about 3 to 5% of women with ER-positive breast cancer benefit from extending their treatment to ten years. If you’re an ER-positive survivor coming close to 5 years of treatment, you may be wondering if you fall in that 3-5% that may benefit from extending anti-estrogen therapy beyond year 5. The good news is there’s more information available now than ever before. To learn if you might benefit from extending anti-estrogen therapy beyond 5 years, ask your doctor about Breast Cancer Index – a test that uses your initial tumor sample to help you and your doctor understand your personal risk of late recurrence and your likelihood of benefit from extended anti-estrogen treatment. While there’s no direct link to stress increasing risks of cancer, stress can encourage unhealthy habits like smoking and drinking that directly impact your physical health, and reduce your overall quality of life. So finding ways to manage stress and anxiety following your breast cancer treatment is also important. When your initial treatment is over, cancer doesn’t need to control your life anymore. Give yourself time to prioritize your mental and emotional health. Find hobbies and passions that help you relax, and discover ways to feel like yourself again. Enjoy time with family and friends, and make yourself a priority. Lots of women find that keeping a journal, physical activity, and other creative outlets can help them recover from the stress of treatment. Others take up yoga, meditation, or join a support group to connect with other survivors. You have lots of options, it’s just a matter of what works best for you. Adjusting your diet to include lots of fruits and vegetable, whole-grain fibers, and fish, is a great way to maintain a healthy weight, and make sure your body gets the nutrition it needs. Avoid processed foods, reduce the amount of red meats you eat, and cut back on saturated and trans fats. Instead, choose organic options, eat poultry and beans for protein, and incorporate healthy fats like olive oil, nuts, and avocados into your meals. If you haven’t already, cutting back your alcohol consumption to less than one drink a day is recommended. Alcohol can increase estrogen levels in your blood, and lower your folic acid levels, which are important in repairing and copying DNA. To gain more insight on your dietary needs, speak to your doctor to help you decide what foods you should eat to fuel your body and stay healthy. Physical activity is one of the best ways to stay in shape after surviving breast cancer. Incorporating something as simple as walking for 3 or more hours a week can help reduce the risk of death and mortality. And the benefits of exercise aren’t just physical. There are so many ways that staying active can help you recover from the emotional and psychological strain of breast cancer. It can relieve stress, improve body image, maintain bone health, and more. So next time you’re out and about, take the stairs, bike to your destination, take a short walk on your lunch break. Join a sports team, go hiking, or sign up for a fitness class. There are so many ways to get moving in a way that’s enjoyable and fits your lifestyle! Diet and exercise may help to prevent recurrence because they’ll help you maintain a healthy weight. As a survivor, it’s very important to consider your BMI (or body mass index) to help prevent recurrence. Weight is such a significant factor in recurrence because of the way fat cells work in a woman’s body. Fat cells produce estrogen — and increased estrogen levels can directly impact ER-positive survivors. In fact, women who are overweight are at an increased risk for recurrence. There’s always time to adopt new healthy life choices, so if you’re a survivor who is overweight, work with your doctor to come up with appropriate goals and a weight loss plan that will help you reduce your risk of recurrence. Whether you just finished your initial treatment, or you’re further along and are wondering what to do after the first 5 years of survivorship, these tips will help you live a healthy life and discover ways to prevent late recurrence. Most of us have experienced having problems like falling asleep at one time or another, but what constitutes a real sleeping disorder? Sleep disorders are conditions that prevents a person from getting a restful sleep and, as a result, may cause daytime sleepiness, stress, and dysfunction. There are different types of sleep disorders, and it can be confusing what you have if you don’t know which symptoms to look out for. Here’s a quick list of the most common types of sleep disorders you should be wary of. Sleep apnea. A sleep disorder that is easily construed as normal snoring, but this is actually a more serious issue since it virtually stops a person’s breathing during sleep. While medical devices like Resmed CPAP machine are aplenty right now for effectively treating sleep apnea, many people still don’t know they have this life-threatening disorder. There are two types of sleep apnea: obstructive and central. The ‘obstructive’ sleep apnea is more common. It is caused by a blockage in the airway, usually when the soft tissue of the throat collapses during sleep, blocking oxygen throughout the body, and thus causing a person to wake up. Central sleep apnea (CSA) is related to the brain’s function where no obstruction happens, but it fails to tell the body to breathe. Symptoms of OSA include snoring, daytime sleepiness, stress, lack of motivation, restlessness, gasping for air when sleeping and trouble focusing. Untreated sleep apnea can lead to clinical depression, diabetes, heart attack, stroke, and many other dire health complications. Restless Leg Syndrome. A sleep disorder that can cause an irresistible, and often intense urge to move the legs. This is brought on by resting as when you sit, lie in bed, or prolonged periods while driving or at a show. RLS usually occurs in the evening, which make it more difficult for people with this disorder to fall and stay asleep. RLS can also be associated with daytime sleepiness, lack of concentration or irritability. People with this disorder also tend to move around and shake their legs to somehow relive the uncomfortable sensation. Narcolepsy. This is a neurological disorder of sleep regulation that can affect the control of sleep and wakefulness. Sufferers experience daytime sleepiness, fatigue, and intermittent, uncontrollable episodes of falling asleep regardless of time. The sudden sleep attacks can occur during any type of activity as well. Many people with narcolepsy experience sudden muscle weakness with emotions, such as laughter. This disorder happens typically between the ages of 15 and 25, but it can happen at any age as well. Many such cases are undiagnosed, and therefore, untreated. Getting help. If you suspect that you or a loved one has a sleep disorder, then immediately discuss the symptoms with a physician or a sleep expert. They can perform a physical test and assist you in identifying the difficulties that you’re having with sleep. Your doctor may suggest a medical device like Resmed CPAP machine if you suffer from obstructive sleep apnea. This treatment is the most utilized treatment for people with this type of sleeping disorder. A sleep study can also be done at home for some patients as well. During pregnancy, many women get to enjoy the healthy glowing skin, but that gorgeous glow typically fades soon after your bundle of joy has arrived. After pregnancy, it's common to notice an assortment of skin problems that you may have never even had before. Before you panic, it's important to understand that you are not alone and there are ways to correct these problems. Wrinkles are a sign of aging that no one is ever prepared to embrace. Children can really seem to speed up the aging process, especially with sleepless nights and insanely busy schedules. 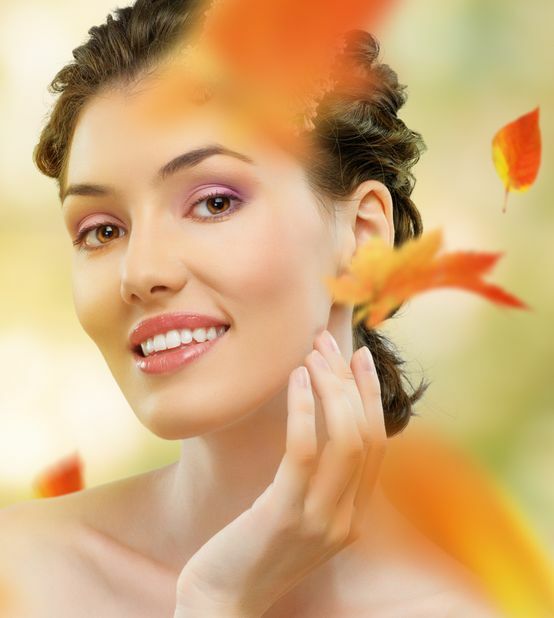 If you've begun to notice fine lines, there are ways you can make your skin appear smoother and younger. Consider trying topical treatments such as Alpha-hydroxy acids, retinoids, and topical vitamin C, including products like Dermaclara Advanced. There are ways to slow down the aging process of your skin by protecting it from the sun, avoiding smoking, getting plenty of sleep, and including more fish in your diet, especially salmon. Stretch marks can appear on almost any part of your body, especially breasts, the belly area, and legs. Some stretch marks do fade over time, but some can take longer to fade than others. The best time to work on getting your stretch marks to fade is while they're still reddish. A dermatologist can prescribe a retinoid to help promote new collagen growth which will plump the problematic areas up, reducing the appearance of stretch marks. Other ways to get rid of stretch marks include lasers to boost collagen and dermabrasion which helps renew skin. Even if you've never had a problem with acne before, you can still get hormonal acne after pregnancy due to fluctuations in estrogen. Hormonal acne usually appears on the neck and lower facial area and appears in red painful to touch bumps. Typically, this acne will go away within a few months, but it can be aggravating to deal with. One of the best ways to combat acne is to have a proper skincare routine. It's very important to cleanse your face daily and moisturize. Your diet also plays a very big role on your complexion. Try to consume foods that are high in antioxidants and vitamin C. Try to avoid sugar because this can only increase hormones, which can lead to worsening acne. Hormone changes can also cause your skin to become dry and flaky. One of the easiest things you can do for dry skin is to drink more water. You can also try switching to a gentle body wash, one that won't dry your skin out. It also helps to use a gentle facial cleanser and follow up with an ultra-hydrating moisturizing cream afterward. Another thing you can do for your dry skin is to apply a rich lotion or a body oil to your body right after you take a shower while your pores are still open. Skin problem can cause low self-esteem and frustration, but understand that many moms of all ages are in the same boat as you are. Make time to take care of your skin and drink plenty of water. Getting plenty of sleep might be a challenge if you're a new mom, but definitely snooze when you can. Many post pregnancy skin problems are just temporary and will go away after a few months when your hormones get back to normal levels. If you have really persistent skin problems, don't hesitate to talk to your dermatologist to figure out a solution that works for you.